Free high resolution photo of the word masquerade. 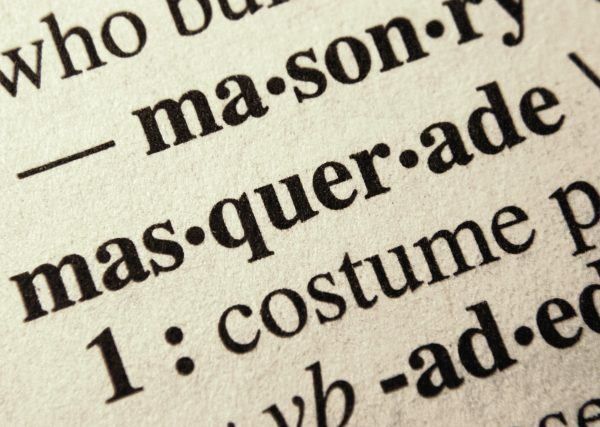 This picture shows a close up of the word masquerade from a dictionary entry. The picture shows the word divided into syllables, with bits of words from the surrounding definitions. You can see the texture of the paper. A masquerade is a party where costumes are worn, it also refers to a deception or pretense. Free image for any use.